Dan offers more than thirty years of experience between public accounting and the California Board of Equalization. He has served as a Partner and Principal, focusing on both state and local tax issues at two Big 4 accounting firms. Dan founded Thompson Tax in June 2002. His consulting clients include both national and international companies representing broadly diverse markets. Dan graduated from California State University, Long Beach with a Bachelor of Science in Accounting. 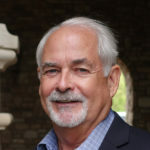 A frequent public speaker, he lectures on taxation for many respected tax educators including the California Society of CPAs, Tax Executives Institute (TEI), Georgetown University Law Center and various business groups. Dan is a member of the American Institute of CPAs, the California Society of CPAs, and the Institute for Professionals in Taxation (IPT). Dan has served as chairman of the California Society of CPAs Sales and Use Tax Symposium and instructor of Golden Gate University’s State and Local Tax Program.